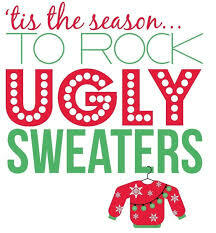 Wear your silliest, tackiest, ugliest holiday shirt, vest, or sweater with pride! There will be delicious food, a selfie booth, cookie decorating, and lots of games. This is a fun event for all, so be sure to invite your family friends and neighbors to join us!